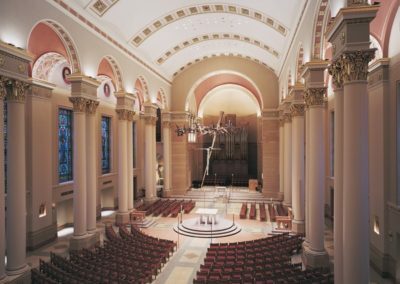 To provide decorative painting that complements the new, Catholic post-Vatican II layout, while respecting the historic integrity of the Cathedral of St. John the Evangelist in Milwaukee, Wisconsin. 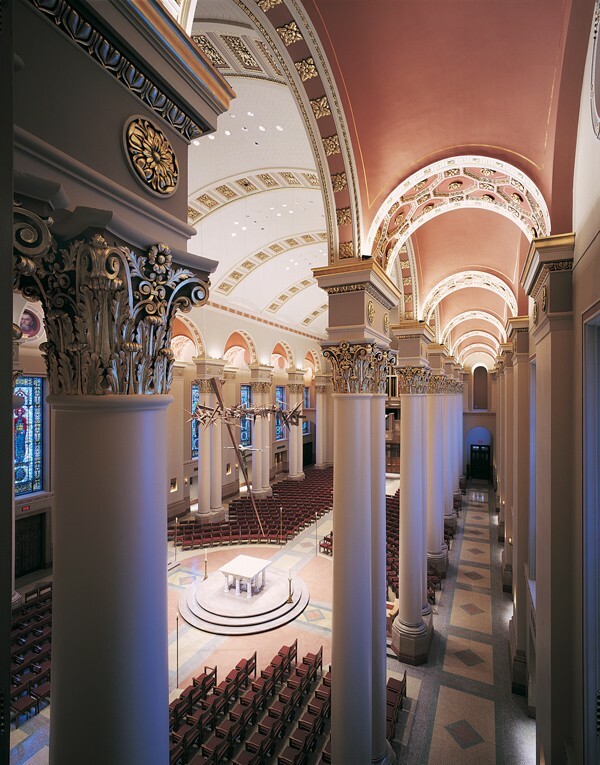 Conrad Schmitt Studios began their development of the decorative painting scheme by researching the finishes from 1943, when the Cathedral’s interior was rebuilt following a fire. 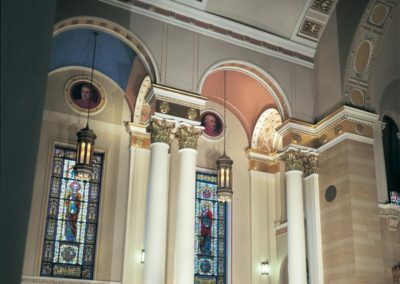 However, these findings revealed a lack of decoration, possibly due to limited funds at the time. 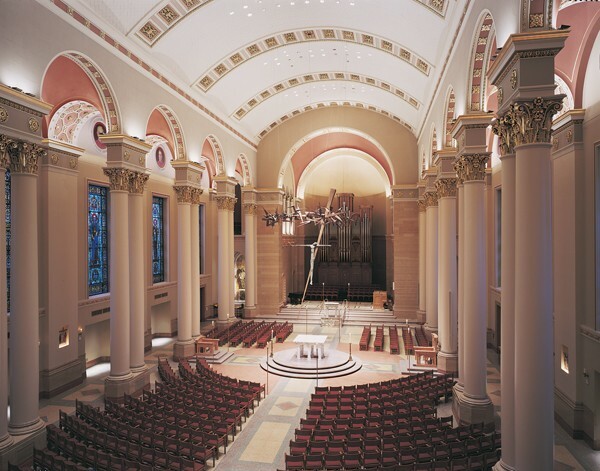 The newly applied colors are more harmonious with inherent architectural elements such as the marble and terrazzo. 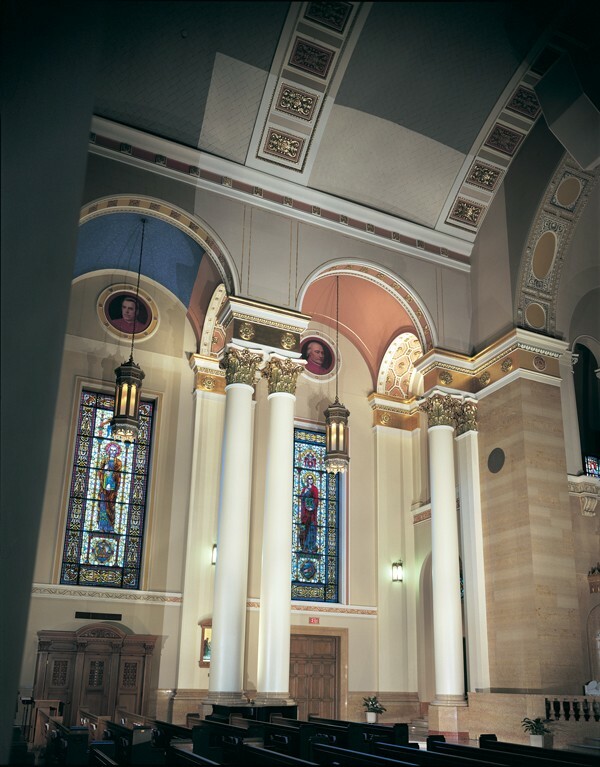 The soft, muted shades create a warm and elegant backdrop for the liturgy. 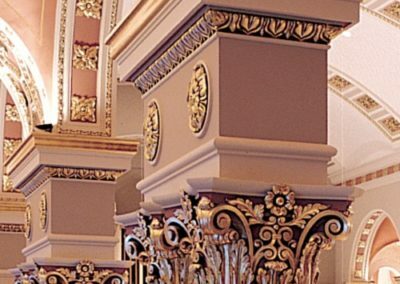 Selected areas of gilding honor the glory of God’s house without calling attention to the decoration itself. 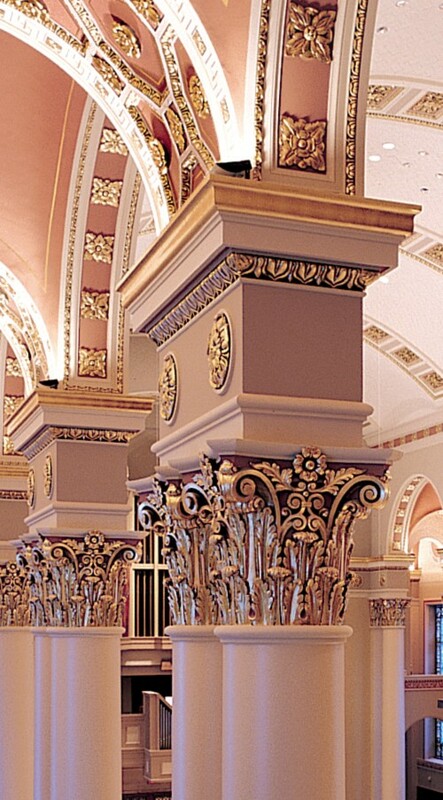 The decorative painting was conducted over the course of three months and required five semi-trucks of scaffolding, more than 500 gallons of paint, and 14,000 linear feet of gold leaf. 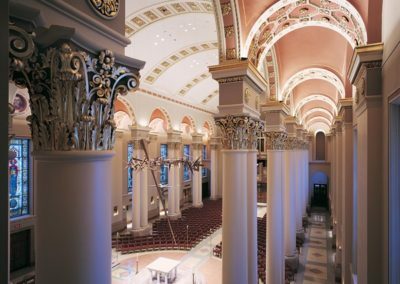 Now complete, the Milwaukee Cathedral project beautifully blends history and tradition with a growing and evolving faith.